Lately cauliflower has been my vegetable of choice. I’m loving it roasted and also steamed with just a little bit of olive oil and lemon juice. When I’ve been extra under the weather and sick to my stomach while I am on medical treatment my gran makes me mashed potatoes and adds mashed cauliflower to the mix – haven’t tried it? You should. Even as a side dish… the the next time your making mashed add some cauliflower! As we know late stage Lyme Disease has an effect on the brain and nervous system. Brain fog, issues with comprehension and our overall cognitive function isn’t up to par. One of the main functions of choline in the body is synthesis of the neurotransmitter acetylcholine. Acetylcholine has an important role relating to our nerve impulses. It is involved in the parasympathetic nervous system, the part of our autonomic nervous system that contracts our smooth muscles fibers, dilates our blood vessels and slows our heart rate. At the height of my battle with Lyme Disease I had what is called “mononeuropathy multiplex” which is a fancy term for when there is damage to two or more nerve pathways. And yes – it can hurt like you wouldn’t believe. When I first started to have pain it would come and go. When the pain became worse it got to the point when it was present 24/7 but I didn’t understand the pain. It wasn’t like anything I’d experienced before; I remember telling doctors is felt like someone heated up butcher’s knives and stuck them into my arms, back, legs and shoulders. It was a very sharp, burning pain. As much as I don’t like to be on medication I did eventually start on lyrica and lamictal and it made a huge difference. This kind of pain still happens in flares, but it is not all day, every day. 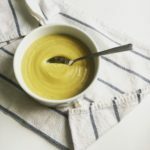 So, with all of this in mind and I was looking for a new way to enjoy cauliflower I thought soup would be a great idea. 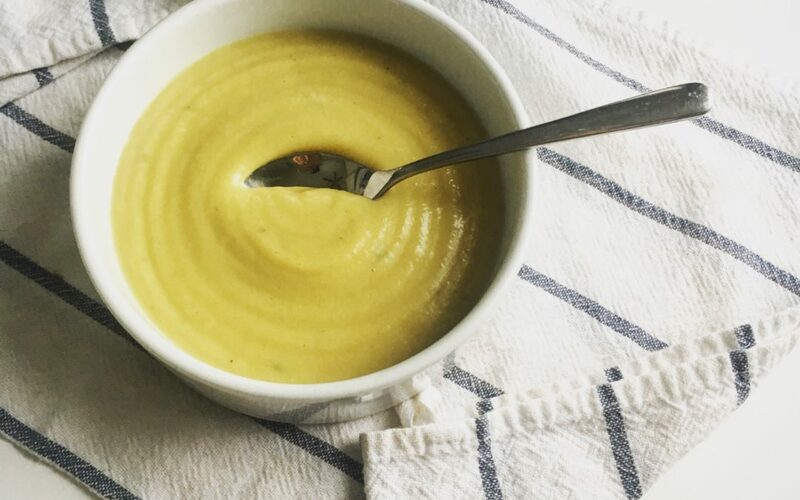 Winter has officially reined down on us in the form of way too much snow – and there is almost always homemade soup in the fridge these days. Have I sold you on cauliflower yet? Easy, delicious and creamy - and source of brain boosting choline! Grab my meal planning tool and let me help you keep it simple in the kitchen - it will save you time, energy and money!